STYLE STALKING: JUMPIN’ FOR VINTAGE!! 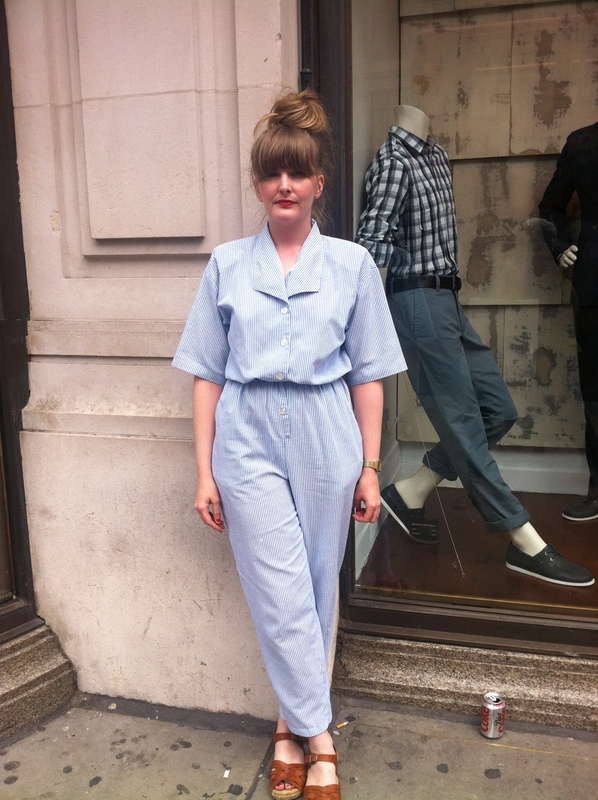 Of I was doing some pickups around Carnaby street when i saw this lush Vintage Vixen sporting this gorgeous jumpsuit. Not only doe she own a job we all want on Regent Street H&M doing Visual Merchandising.. But she obviously has some clothes and shoes i want to ‘jump’ into! She effortlessly paired this jumpsuit with a trendy high bun and statement lips *mwah*! I love this playsuit because it’s a statement piece in itself. Pair it with a belt or snap on a gorgeous flower or broach to spice it up! Just like the Maxi dress.. jumpsuits are catwalking straight into AW11!! so definitely get yourself down to your nearest Vintage store to snap up that one of jumpsuit that NO-ONE else has.. for a fraction of the price! just like this one in Rokit vintage!! Next Post GOSSIP!! : TODAY I MET YUMMY DAVID GANDY *GASSP*!! OMG! I love this look.